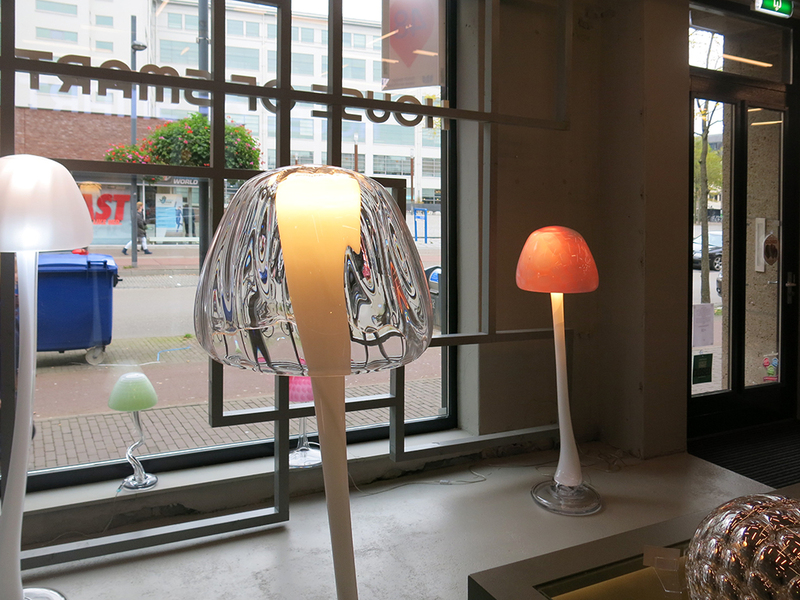 During Dutch Design Week, Dutch Design Daily and e52 will be introducing you to the hidden gems of the festival. Curator Katja Lucas selected nine special designers whose sparkle has caught our eye this year. 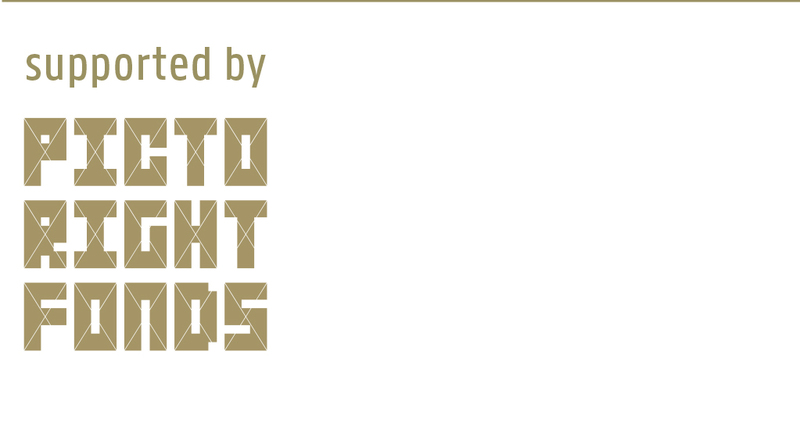 Each day of DDW there’ll be a different hidden gem put under the spotlight. Arnout Visser and Maurice Mentjens have been friends for 25 years. 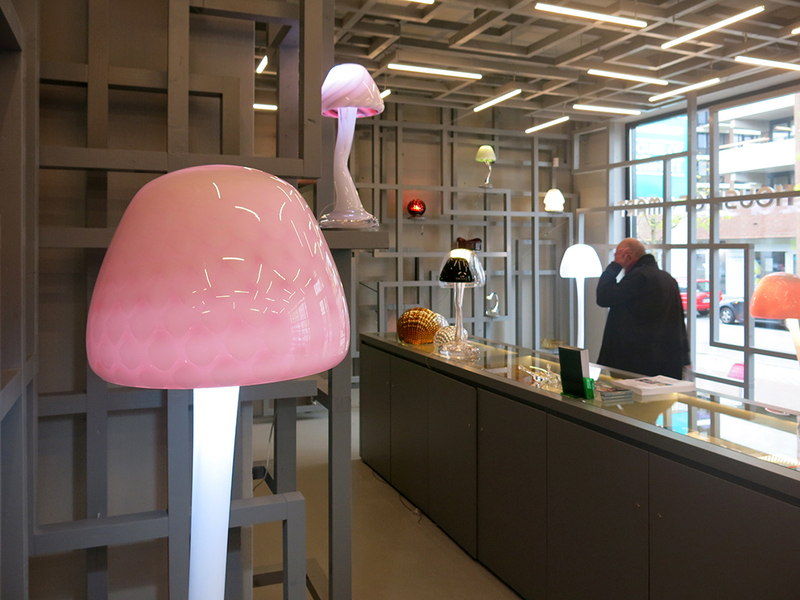 Mentjens visited Milan’s Domus Academy all those years ago and heard through the grapevine that designer Arnout Visser would also be there. Sure enough, he quickly found “that blonde guy”. Now let’s fast forward to DDW 2015, where people will be able to see Visser and Mentjens in a world hallucinogenic drugs. What’s the deal with that? 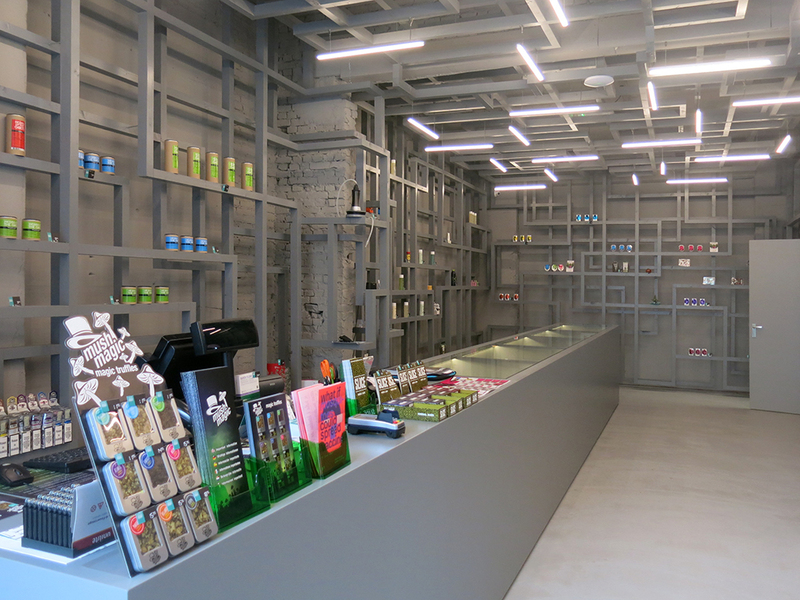 Last year, Mentjens was approached by The House of Smarts, a new smart shop in the centre of Eindhoven that operates “in the stimulants sector”. Mentjens specialises in interior design and has already worked on the Bonnefantenmuseum in Maastricht, the Frans Halsmuseum in Haarlem and for Schiphol Airport. And now he’s working his magic on this project on Willemstraat. Mentjens was inspired by the fact that Eindhoven was named the smartest region in the world in 2011. 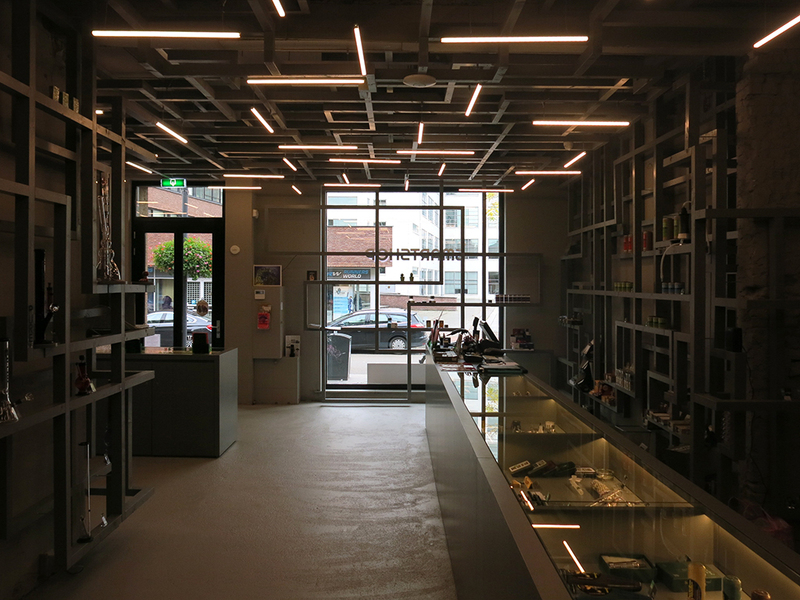 The city’s smartness is reflected through the shop’s interior. Mentjens: “I thought it would be interesting to depict the brain and the nervous system in an abstract way. Like a maze, a complex machine or a computer chip that thinks rationally and symbolises artificial intelligence.”Mentjens links this ratio with intuition and an open mind, which, according to him, are essential to creative thought and true innovation. Behind the first, superficial impression of the interior looms more spiritual associations that give a deeper insight into the design concept. In this case, the contrast between rational thought and the psychedelic experience of hallucinogenics. 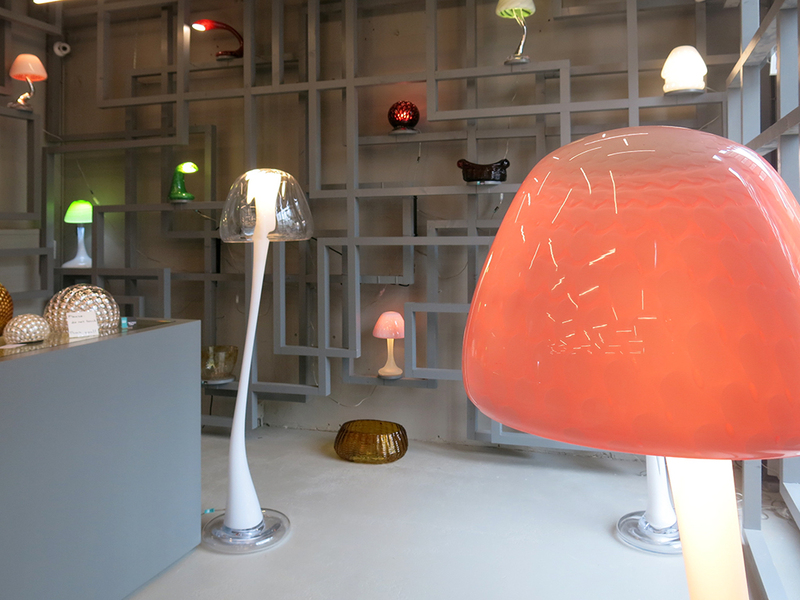 Coincidentally, Arnout Visser was also working on a series of glass lamps during this period which he called Mushrooms. A “form-finder with a love of glass”, Visser used to create a lot of designs, from vases and bikes to table lamps and tile collections. Visser is working as an inventor, often using scientific principles as his starting point. Many of his items bridge autonomous art, scientific experiment and industrial design. 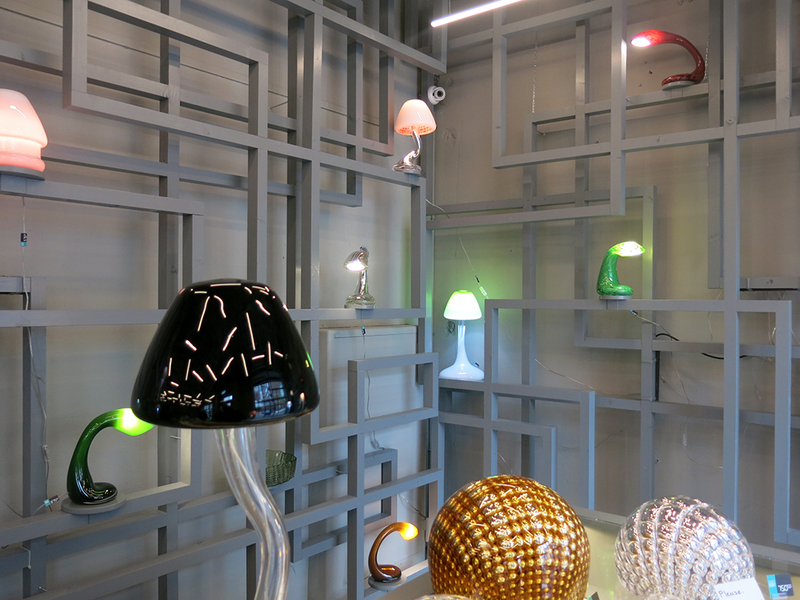 His glass mushroom lamps on display during DDW were made with highly experienced glass blowers in the Czech Republic. Want to learn more about Mushroom? Come along to the special e52 and DDD Meet & Greet in The House of Smarts. Maurice Mentjens will be there to talk about the shop’s special interior and his collaboration with Arnout Visser in more detail. See you then!